Home » Engagement Rings Cuts » Dangerous Diamonds Warning! Known as a girl’s best friend, 1 in 4 diamonds available today were once reported to be conflict diamonds. Popularly referred to as ‘dirty diamonds’ or ‘hot diamonds’, these are also referred to as war or blood diamonds. The gory etymology of the word owes it to the inhumane suffering behind diamond mining. First mined from the alluvial valleys of India almost 6,000 years ago, the history of diamond mining began and thrived for centuries alongside the blotch of endless torture. Nevertheless, today there are licenses to deal with Conflict-free diamonds and even superior diamonds such as – Beyond Conflict-free, which are mined using fair labor. It is true that the worldwide ban of war diamonds had directly led to the rise of ethically sourcing all diamonds, however the authenticity of the conflict-free diamonds are itself doubtful, to a good limit. If you’ve been confused about the topic of conflict-free or blood diamonds, read ahead to know all answers on the trending ethics of green or conflict free diamonds. Referred to as the illegal mining of diamonds using local labor, the simplest way to understand the blood diamonds is that they are sold by the local rebels to fund their private agenda. In the first look, it might sound like any private mining company, but when you look deeper the horrific truth might stun you! The so called revolutionaries who conduct the mining programs usually also force the locals into abominable labor and use the money earned through the diamond trade to finance the expenditure for weapons, ammo and armory for war. Sierra Leone is the core of this draconian diamond mining and often, when the stories are well hushed as well as when leaked, bloodbaths flow beside as well. Some other countries involved in the cold-blooded diamond mining are Angola, Ivory Coast, Liberia, Republic of Congo, and Zimbabwe. According to United Nations, blood diamonds are-Diamonds that originate from areas controlled by forces or factions opposed to legitimate and internationally recognized governments, and are used to fund military action in opposition to those governments or in contravention of the decisions of the Security Council. Known as rugged stones that are smuggled without cutting, the money earned from conflict diamond trade is sent to aid the finances for war by the rebels against the government. In its flesh and spirit, conflict diamonds must not be acquired via violence inflicted on man, beast or nature. Led by the international NGO- Global Witness, Blood Diamonds were first opposed with their zillions of supporters regarding the wrongful diamond mining in Africa using the report ‘A Rough Trade’, in the year 1998. Following this, the UNSCR 1173 recognized the atrocious crime behind blood diamonds and led to the establishment of KCPS, or Kimberly Process Certification Scheme. The truth is that, it was not just the war funding that emphasized the injustice of the revolutionaries, but they also forced child labor as well as the residents to leave their birthplaces and move from areas selected for mining. While the fight against blood diamonds are on since the late 90s, statistics prove that currently the blood diamonds in the market account for as low as 1%. Conflict-free diamonds are diamonds that are ethically sourced and attained through legitimate means as well as licenses. One of the direct impacts of the long-lasting worldwide trade of blood diamonds is the drastic rise of corruption, environmental instability, political issues, violence and disruption of social peace. Thanks to the formation of new fair diamond mining rules, conflict free diamonds became available towards the late 20th century. Born as a result of the Kimberly Process Certification Scheme, Conflict free diamonds under the same are referred to as diamonds mined without being funded for wars. The same put a stop to world’s most favorite rock adding to the financing of murdering millions through wars, but KPCS did not cover everything just to stop the conflict diamonds. The process enlisted war and violence as the sole deciding factors for a region to be excluded from KPCS, never including forced labor or assaults as ‘dirty diamonds’ or many other humane causes. Conflict free diamonds are acquired and sold through legitimate means. Although not 100% controlled, these are certified by the KCPS that provides a unique track record of each diamond from its mine to the ornate glass wall shelves. This way the smugglers or the illegitimate vendors are eliminated too. Another smart option to displace the blood diamond trade is by creating a high demand for synthetic diamonds. Why do Conflict-Free diamonds matter? To attain the freedom of granting small scale diamond miners, the first ever Kimberly Process Certification or KPC was formed. However, the history repeated itself and the irony were that KPC is today its own antonym. Diamond is not just a girl’s best friend, but the epitome of love as we know it. Tainting it with the blood, screams and woes of our brothers across borders are not equivalent to the epitome of love. In fact, the diamonds would haunt you more than keep you in the love bubble. First, in memory of those who died in Sierra Leone, in Angola, in the Democratic Republic of the Congo and other African countries in conflicts fueled by rough “Conflict’ Diamonds;”- These are the red zones were conflict diamonds are most circulated. Second, to end the killing in on-going conflicts in Africa; Apart from the bygone torture due to the wrongful diamond mining, the present abominations should be quickly halted ASAP. Fifth, to assure consumers the diamonds they wish to enjoy are without the taint of conflict. If you think KPC solved the millions of conflict diamonds, you are wrong. Apart from the statistical 20% of conflict diamonds coming from the blood of assaults, wars, forced labor, torture and even the murder of the citizens, KPC in 2011 added Zimbabwe as a conflict-free diamond miner. For people who know the diamond market, knows that Zimbabwe has the world’s most expensive mines and the same led to an unresolved controversy. Many noted members, even the founder of KPC resigned from the establishment soon after. Blue Nile is a noteworthy jeweler who has severed ties with all its Zimbabwe diamond sellers officially. Today, your, mine and the diamond miners rights, matter the most. It is your right to demand products that are paid by fair labor, to feel no burden on your conscience or torture another while buying the symbol of your 7 years beautiful beloved. Because today, the girl’s best friend still is dripped in the blood of millions of diamond miners of Africa. There are many protests and controversies that made conflict free diamonds a reality. As the present tense of conflict diamonds show that the dark market still exists, there has been much that has changed since the first introduction of Conflict-free diamonds. In the early 21st century, the need for a history of where the diamonds originated was added as a necessity to prove its authenticity of being conflict free. Named as the ‘Certificate of Origin’, the new regime was headed by Robert Fowler, Canada’s US Ambassador against the large-scale blood diamond trade that was unearthed at the time. Kimberly Process Certification Scheme or KPCS is an established diamond certification since 2003 by the United Nations to prevent blood diamonds from entering the mainstream diamonds. It was created to prevent the diamond mining from funding rebellious sources. The following statement must be seen on the invoice of companies that support KPCS. “The diamonds herein invoiced have been purchased from legitimate sources not involved in funding conflict and in compliance with United Nations resolutions. The seller hereby guarantees that these diamonds are conflict free, based on personal knowledge and/or written guarantees provided by the supplier of these diamonds”. The infamous South African mine was once renamed Kimberly after the English roots, where ages ago diamond mining first happened. The settlers had enslaved the native tribes the settlers for cheap labor. In 2000, the striking Kimberly Process Certification was also announced here. Began as a war against the war diamonds in the light of Fowler Report, KPCS worked to ensure that the diamonds were acquired ethically according to the country-wise analysis. Until 2016, the scheme has 76 countries and 50 members onboard. KPCS currently boasts of having an alliance with world 99.8% of diamond miners, is also backed by miners, host countries and jewelers. The process entails all diamonds exported from a country to bear the certificate of guarantee listing the origin and conflict free nature of the stone. The black market conflict diamonds have usually crossed the borders and then mixed with conflict-free diamonds under fake authenticity certificates. Responsible Mining is not an option, but a duty we owe to each other and the nature for co-habiting on this planet. The atrocious ways of how blood diamonds has destroyed man and the sky are boundless. What should you do to choose Conflict Free Diamonds? Black market blood diamonds are easily smuggled and for a customer, it is difficult to identify a diamond’s fingerprint or origins by simply looking at it. There are many diamond vendors who have no proof of the authenticity of their diamonds, yet advocate that its conflict free. If you’re truly dedicated to buying diamonds that not only share a positive vibe, but also untarnished history in the making, then the best place to start is with faithful jewelers. Like in the case of Blue Nile, the company came straightforward and declared after the Zimbabwe controversy that no diamonds from the said vulnerable zone will be sold by the diamond geezer anymore. The first thing to prove that a jeweler is supplying conflict free diamonds is by checking the certificate of authenticity provided by the jeweler. All conflict-free diamonds are accompanied with a track record of where the diamond has travelled from the mine to the jewelry store. If your jeweler fumbles or tries to cover up the certificate and continue selling the precious stone, the same is a swindle. Is there an additional cost for the diamond being conflict-free? If your jeweler claims that as the diamond is certified to be conflict-free, the same levies an additional charge to your bill, inquire what fee first. There are no bonus fees for availing a conflict free diamond and conflicted diamonds are even banned in most places. Hence, you must doubt, inquire and scoot if your think the jeweler is selling you fake conflict-free diamonds. Another common misconception is that conflict free diamonds must come from Canada. In fact, there are 76 countries that are currently enrolled in the Kimberly scheme and these account for 99% of world’s diamond, in total. The same is why, if your jeweler vouches that the store has nothing but conflict free diamonds coming from Canada, you must look for a much-established diamond geezer with varieties of untainted diamonds from all around the world. In addition, smart ways of shopping is a must-have when going diamond-shopping. You must shop with your heart and brains. If you’re stern about your dream engagement ring being 101% authentically conflict-free, then the best way is to look for jewelers like Brilliant Earth. BE is known to be a major producer of lab grown or synthetic diamonds as well as a consistent donator of 5% of every billing to the African locals scarred by the bygone diamond mining. Whenever making a diamond purchase, make sure to assertively ask to see the licenses that the jeweler claims to have. All U.S diamond vendors must keep with the Patriot Act and Kimberly Scheme and failure to do so is subject to penalty from Homeland Security. What are Diamonds- Beyond-Conflict Free? It is true that neither was conflict-free diamonds introduced with 100% transparency, nor with dedication and hence, the inhumane contribution of the diamond’s mining was inevitable. While Kimberly Process said no to war diamonds, while keeping mum to diamonds that are products of horrendous crimes. Today, the age is far beyond merely conflict-free diamonds. In fact, there is a newer class of diamonds that accounts for 1000% conflict-free means by having stricter rules about the conflict in the business. Beyond Conflict Free diamonds are manufactured sans the forced labor, assaults, child labor, environmental destruction, unfair pricings, terror fundings or any kind of violence. 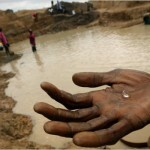 The true meaning of conflict free diamonds is that it is ethically sourced just. BE has an exclusive tab on the diamonds beyond conflict free, because not all conflicts need to have blood. To browse BE’s policy on the same, click here. Ensuring that you are buying yourself a diamond that has been respectfully mined is not only a thought but a state of mind that every jewelry wearer should have. Often representing memories, moments and relationships that are unparallel, jewelry must be ethically sourced at all times. Catching the world’s eye in the late 90s, the Sierra Leone and Kimberly large scale death disaster led to three million deaths in the wars cashed by the sparkly diamonds. Conflict diamonds stand for human right abuses while conflict-free diamonds simplify the freedom of man from such an abominable torture.